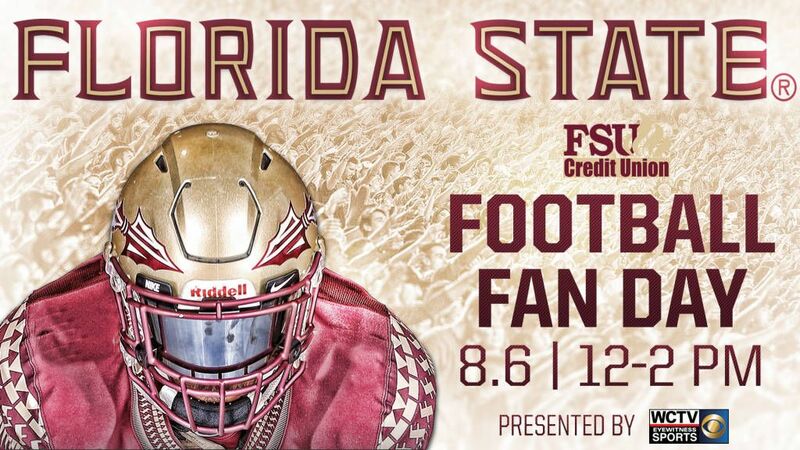 Florida State football fans can get an up-close look at this year’s Seminoles when the team holds its annual FSU Credit Union Fan Day on Sunday, Aug. 6, from noon to 2 p.m. at the Donald L. Tucker Civic Center. Admission is free and doors open at 11 a.m. Fan Day provides a rare chance for FSU supporters to meet and receive autographs from their favorite Seminole players and coaches. In addition to head coach Jimbo Fisher and members of the FSU football team, Fan Day will feature appearances by Osceola, Renegade and the FSU cheerleaders. Please only one item per person for signature.